Personal watercraft (also sometimes referred to as “PWC”) are recreational vessels in which a rider sits in or stands on, as opposed to a traditional boat, where occupants are seated inside. Better known by their trademarked brand names (Waverunners, Sea-Doos and Jet Skis), these craft are propelled forward by an inboard engine that drives a pump jet that creates a thrust necessary for push and steerage. Generally, manufacturer designs allow for up to three people, though a few four-person models do exist. 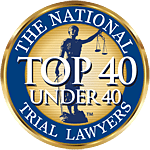 The veteran watercraft injury lawyers at Associates and Bruce L. Scheiner, Attorneys for the Injured, recognize while these craft are exceedingly popular in South Florida, they are disproportionately dangerous. The Florida Fish & Wildlife Conservation Commission reports while these vessels account for 11 percent of all registered watercraft in the state, they were involved in 19 percent (137) of all reportable boating accidents in calendar year 2013. Lee County has an especially high number of registered personal watercraft – a total of 4,524 as of 2013. Of those, 180 are rental craft. The county was tied with Volusia as the county as having the eighth-highest number of PWC accidents in the state – 5 total in 2013. Thankfully, none of those were fatal, but they did result in 5 serious injuries and $19,000 in property damage. The accident rate here is 1 out of every 905 vessels. Collier County, meanwhile, has a total of 3,111 registered PWC with 245 of those being rentals. The accident rate there is 1 out of every 1,556 vessels. In Charlotte, there are a total of 1,461 registered PWC, with 64 of those being rentals and the accident rate reported at 1 out of every 1,461 vessels. Miami-Dade had the worst track record, with a total of 10,830 registered PWC (404 of those rentals), with a total of 28 accidents, one of those fatal and 20 resulting in injuries. The accident rate there was 1 out of every 387 registered vessels. Personal watercraft are far more likely to be involved in crashes with other vessels. The agency reported in 40 percent of all PWC incidents, the accident involved a collision with another vessel. For all other types of motorboats, the reportable accident vessel-on-vessel collision rate was 25 percent. Because of the significant risk of danger with these vessels, the FWC took special care to research dangers specifically associated with personal watercraft. Between 2009 and 2013, there were a total of 700 PWC accidents in Florida, with the most being in 2011, when there were 162 incidents reported. Of those accidents that occurred in 2013, most (75) occurred in bays, sounds, oceans and gulfs. Meanwhile, 17 occurred in inlets and passes, 15 in canals, 14 in lakes and ponds, 9 in rivers and creeks and 7 in ports and harbors. A total of 31 accidents happened in restricted areas. At the time of accident, 52 percent of riders were cruising while 27 percent were changing direction and 9 percent were altering speed. Five percent were wake/wave jumping. In 42 percent of all accidents, the operator had less than 10 hours of experience with PWC. Nearly 60 percent had no boater safety education at all. In a huge number of cases (71 percent), the PWC was either rented or borrowed. In cases where personal watercraft is rented out (also known as a PWC livery), companies are required to provide pre-rental and/or pre-ride instruction for any vehicle with 10 horsepower or more. All renters must have boater education ID cards or its equivalent, and no livery in Florida can rent to someone under 18. Companies have to legally provide on-the-water demonstrations, as well as a check ride to make sure the renter is proficient. For those injured in these incidents, a watercraft injury lawyer should carefully review whether a claim for compensation should be rooted in theories of negligence against the owner and/or operator or whether there may be a product liability case against the manufacturer of the vessel.